Recently I read an article on Anthill.com, ‘Innovation: Australia is screwed without it. Really, really screwed. One of the premises the article and its accompanying video put forth was that, while 95% of Australian businesses claim they’re innovative, according to the Australian Bureau of Statistics only 40% actually undertake any form of innovation activity. Hmmmmm. Somebody’s got some ‘splaining to do. Unsurprisingly, I was a little confused, and I started to wonder, what’s up with Australia and innovation? Now I don’t mean ‘little i’ innovation… I mean ‘Capital I’, game changing, in your face Innovation. We’re not talking ‘lipstick on the bullfrog’ here people. We’re talking a whole new species. Or at least we should be. And we should be talking about it together. 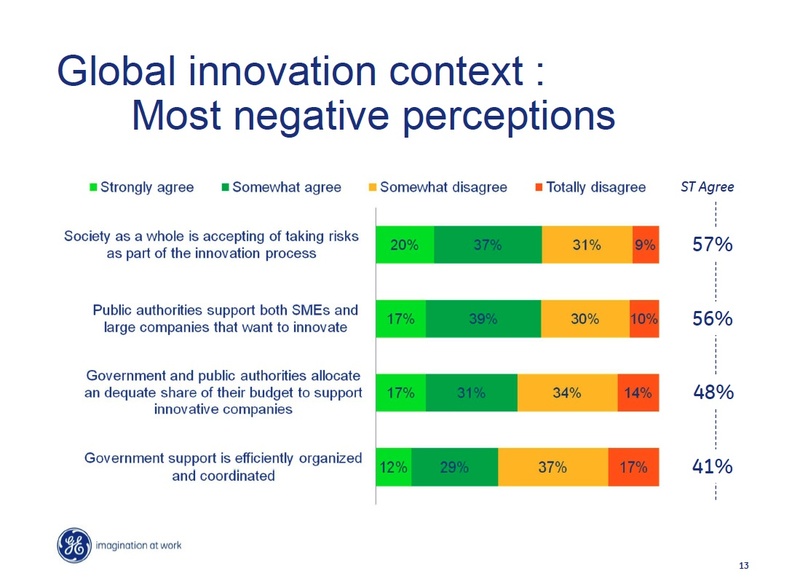 95% of respondents believe innovation is the main lever for a more competitive national economy. 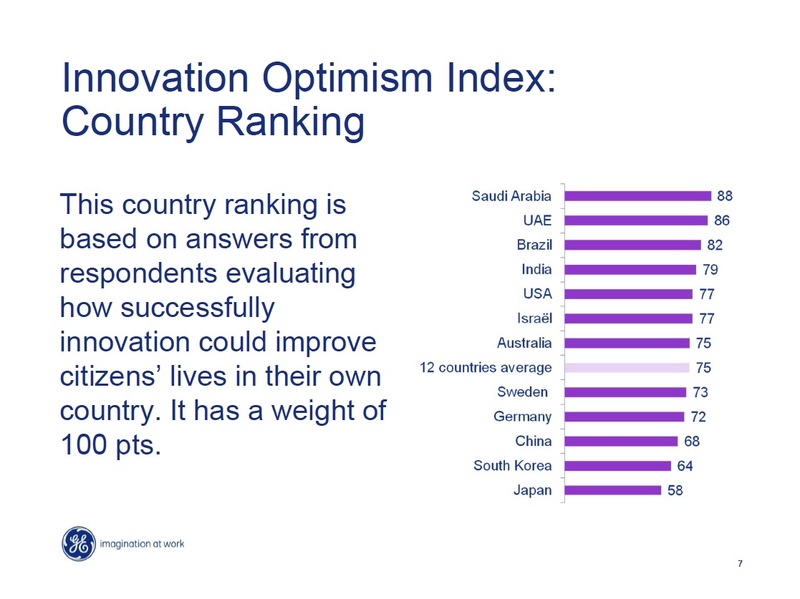 As encouraging is that the vast majority of respondents believe innovation can improve the lives of their country’s citizens in the next ten years. 90% believe innovation can improve communications. All of these illustrate excellent reasons for individuals to buy-in to the necessity for ‘Capital I’ Innovation. The majority of innovation in the next ten years will be driven by a combination of players partnering together. The bottom line that we need to be talking about is that Impactful Innovation in the 21st Century will require incorporating Partnerships who Integrate Solutions which focus on Individuals. However, this takes vision and an ability to factor in risk. And risk or the unwillingness to take it is, as some would see it, Australia’s problem. The thing is, Australia is a traditional country. Now first let me hasten to note that there are, of course, exceptions to this rule. But, generally speaking, Australia wants to protect what it has rather than taking a risk by betting on something new, something they don’t know. It can be scary to switch to a knowledge based economy. Peter Riddles, CEO of ViciBio Pty, has recognized this problem for years. Riddles works with governments and economic regions on innovation and strategies for industry growth, and with new ventures and universities in innovation and commercialization. To his mind, “Australia is a commodity and services based economy and is therefore not necessarily geared to be a knowledge based economy.” Agreed. However, if Australia – in both the private and public sector – doesn’t support its own entrepreneurs endeavoring to launch ‘Capital I’ Innovation, some other country will, and will profit from it. As noted in last week’s blog, there is a multitude of multinational companies drooling to drink at the well of profit that the NBN scheme is likely to provide them. Regrettably, it is likely that only droplets will be left for any local businesses – unless, of course, they come in under the guise of a foreign flag. All is not lost though; there is still time, and certainly a degree of opportunity, for Australia to lead the way in some form(s) of ‘Capital I’ Innovation. This is particularly true in the realm of health care. I have long said that I believe it is part of the Australian psyche to provide sustainable health care to its citizens, regardless of how rural and/or remote their location. True, up to this point there has been a reliance upon ‘little i’ innovation but, to date, this has stood them in good stead. Australians took the international ‘Capital I’ Innovations of radio and airplanes, and created the ‘little i’ innovation that became the world renowned Flying Doctors. Huzzah! However, these are laurels that can no longer be rested upon. Australia must support and cultivate a culture of ‘Capital I’ Innovation and, balanced with its need for security in a traditional economy, it must become a nation which supports and encourages entrepreneurship and a knowledge based economy. As Peter Riddles noted in our chat this week, “Innovation is what entrepreneurs do.” And with some of its most innovative and entrepreneurial minds finding it easier to do business off the ‘Big Island’ Australia is not only suffering from a ‘brain drain’, but also from a sizable loss of potential profits. When your entrepreneurs know that it makes more sense for them to sell their wares to an American company, and then have the Americans sell it back to Oz – there is a fundamental problem in the plan. Australia has the brain power to create ‘Capital I’ Innovation. What it needs is the courage capitalize on this. Australian entrepreneurs must be empowered locally to think and act globally. It is then that they will begin to take the lead in ‘Capital I’ Innovation rather than creating yet another iPad application.